Fastest Cars Under $50,000 | Ray Laethem Chrysler Dodge Jeep Ram " "
If you have a need for speed, then you are in luck! Ray Laethem Chrysler Dodge Jeep Ram has some of the fastest cars under $50,000 for sale in Detroit. These performance-inspired models give you the punch of power you crave without the steep price tag you may expect. Just browse our inventory and set up a test drive in any model that catches your attention, whether it’s new or used. We can assure you that it will be a test drive you won’t soon forget. Dominating the road at every turn, our Clean Carfax One Owner 2017 Dodge Charger R/T Sedan is bold in TorRed! • Powered by a proven 5.7 Liter HEMI V8 that offers 370hp while paired with a responsive 8 Speed Automatic transmission for amazing passing maneuvers. We will deliver, at no cost to you, your new or pre-owned vehicle anywhere in MI, OH, IN, or IL. Call or email for details. *** WE SPECIALIZE IN CREDIT ISSUES *** Pitch Black Clearcoat 2019 Dodge Challenger R/T RWD 8-Speed Automatic HEMI 5.7L V8 Multi Displacement VVT **HAVE QUESTIONS? TEXT US ANY TIME AT (313)327-3563**. 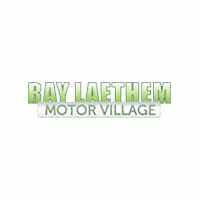 Why Choose Ray Laethem Chrysler Dodge Jeep Ram for the Fastest Cars Under $50,000 ? There are plenty of sporty options for any driver right here at Ray Laethem Chrysler Dodge Jeep Ram that won’t break the bank. Not only are we a top-notch destination for the fastest cars under $50,000, but we are also dedicated to providing excellent customer service long after you take your vehicle home. We have a state-of-the-art service center with highly skilled technicians who know the intricacies of performance vehicles. Whether your vehicle is simply in need of routine maintenance or it requires extensive repairs, we can handle any task at hand. Contact us if you have any questions or would like to set up a test drive.